As there is a strong market still persist for analog surveillance systems, the demand for Hikvision DVR will never deteriorate. That’s why we are providing sales and support for Hikvision DVR in Dubai, UAE. 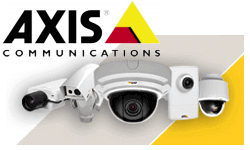 As we think IP video surveillance systems are dominating the market. However, if the customer is looking for a cost effective and quality surveillance system we recommend Analog CCTV Systems for a perfect CCTV Security. Hikvision DVR helps the customers to record their videos and images which enables them to ensure that everything was fine when they were not in place. Moreover, it offers the features of remote monitoring, easy and quick searches, efficient storage and much more. In the early years, the footages had been recorded and stored on the videotapes as opposed to disks. But now the strategy of storing the videos on a video tape is not all reliable. For the business who are not willing to change to the IP surveillance and wish to view the videos in digital quality, Digital Video Recorder is a good option. Hikvision is Well known for its Video security surveillance products, They always surprising the market with a variety of products. Hikvision DVR is also the same as that of other products. It is enriched with features that really takes your analog CCTV cameras to the digital age. With years of experience in implementing varied types of CCTV installation in Dubai, we know what products are required to complete a successful security installation. Hikvision comes in various models and it includes Mobile DVR,Turbo HD DVR and Standalone DVR. Introducing the developments in CCTV Technology, the Hikvision turbo HD DVR range equipped with the latest technology that makes it possible to transfer the highest resolution (720p and 1080P) over the legacy Coax cable. These DVRs are compatible with the traditional analog cameras from Hikvision camera range. The mobile DVR series offers the powerful monitoring functionalities such as the video encoding and decoding, secure data storage etc…It will work as a standalone DVR where it can collaborate with other devices to build a better video surveillance system. It has the additional features of good stability and less power consumption. It can be utilized to the optimal surveillance. Surveillance has become an inevitable part for most of the companies. CCTV Dubai has been successful in the domain of CCTV Installation in Dubai for many years, as such we are counted as the best CCTV solution provider in UAE. Our services are available in the emirates of Abu Dhabi, Umm Al Quwain, Ras-Al-Khaimah, Sharjah, Al Ain and Ajman. With the help of Hikvision products, CCTV Dubai is able to provide reliable CCTV solutions for our customers. Apart from the DVRs and network products, Hikvision presents other range of security products as well which can be best utilized for designing a complete CCTV security system in Dubai.